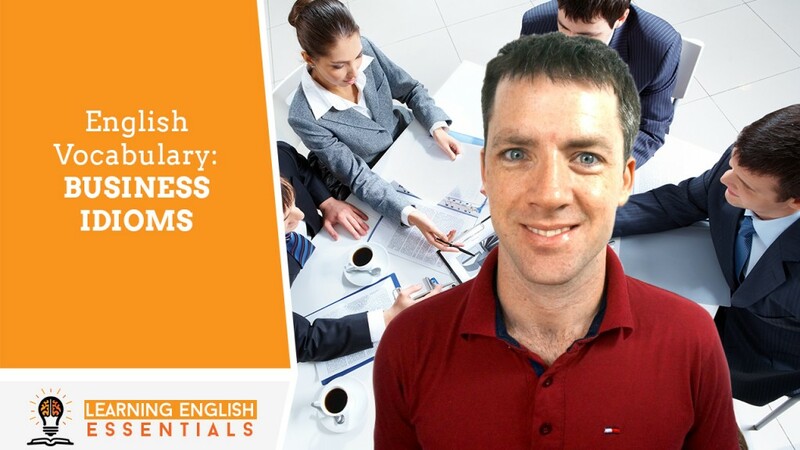 In this video of the English Conversation Topics series, I will take you through the meanings and uses of some common English idioms used in business situations. Are you interested in expanding your English vocabulary? In this video, I share with you some simple English vocabulary that you can use immediately to start learning English quickly, easily and without overwhelm. If you enjoy the video click on the like button below or leave us a comment. Stay tuned. A product, service or business division that generates a lot of cash for a company. At a high price; at a relatively high price. To make a difficult or painful decision; to take a difficult step. They decided to bite the bullet and pay the higher price for the house they really wanted. Advance in one’s career; the process of being promoted and making it to senior management. Mr Smith had done very well to climb the corporate ladder so quickly. If you enjoyed this video, subscribe to my channel. And if you’re looking for more English learning help, make sure to click on the link and get my English conversation practice video and worksheet. To get your hands on them, simply click the link right here, or the link in the description box. Thanks for watching and I’ll see you in the next video. Want to learn English quickly, easily and without overwhelm? Enter your name & email below. Want to learn English quickly, easily & without overwhelm? 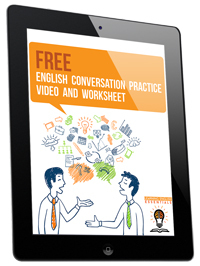 Get My Free English Conversation Practice Video and Worksheet now.